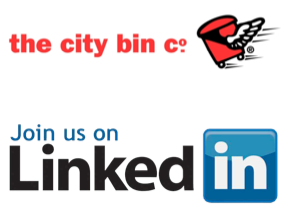 The City Bin Co. succeeds for a great many reasons and, like any successful venture be it cornerstore-ish or corporate, much of that success hinges on people. While business succeeds on the efforts and attitudes of its rank and file, staff exist beyond business too. Be they coaches or spectators, be they parents or children, it is often their obligatory or voluntary dedication beyond the truck, the yard or office where those efforts and attitudes warrant the most merit. Academia calls it "life". Conveniently, so does everybody else. One or two Thursdays back we celebrated one of our own for his efforts beyond the office, his name is Oisin Browne. From the back of a truck in red to a sales rep's suit and tie, Browne also toys with the firm's online marketing campaign too and has ticked more City Bin Co. boxes than most in his 15 years with the company. Outside office hours he ticks many more. 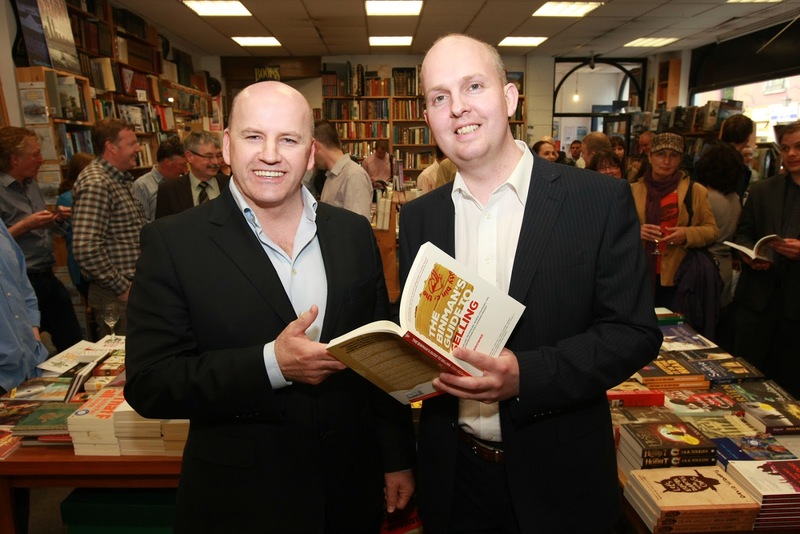 A regular contributor to The Huffington Post's and Galway Advertiser's business forums, this Spanish-speaking, trained hypnotherapist and father of two took publishing beyond the paper-round with The Binman's Guide To Selling: a 172-page sales manual underscored by real-life anecdotes and examples. Plugged as the "Top 100 selling techniques, words, strategies, tips, scripts and inspirations for a winning mindset" this is not a rollicking great yarn to rival Hollywood's finest. The Binman's Guide to Selling is a well-packaged referenced tool to be eaten on the run. About 90 people jammed themselves into Middle Street's iconic Charlie Byrne's Bookshop with Mr Byrne himself, presidential runner and Dragon's Denner Sean Gallagher, City Bin Co. staff and management, personal business connections, a couple of city councillors, Oisin's own family and the local paparazzi. 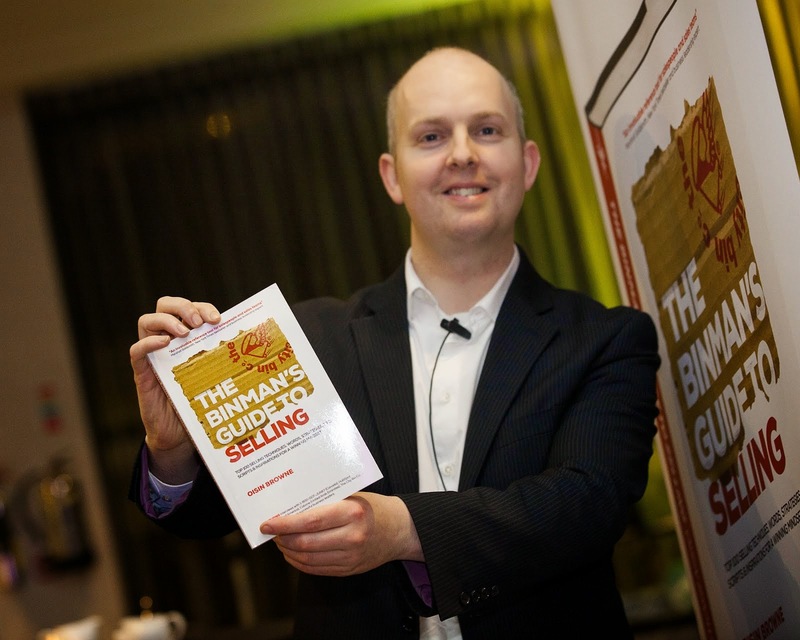 "The Binman's Guide to Selling is a practitioner's book, not an avid reader's book. I wrote it to be read on the run. It's common sense, not seller or sales-specific. It's about having the right mindset, about the psychology of being successful and the psychology of winning. It's just set against a backdrop of sales and selling," Browne said. "I wanted a business book someone can pick up, read for five minutes and put down again at any time of the day. And no matter what page they've found, they can take something away from it. Then pick it up again with no bookmark and take away something else. This is not a cover-to-cover book, it's the very best bits and pieces from my time in sales." In getting published Browne realised a lifelong goal to get up on the bookshelf. "I once bound my own poetry as a kid, quite a young kid actually. I took it to a binders and got it all fixed up so things have gone full circle. This selling caper for me has always been about persuasion and perception and in that regard it's tied in well with my hypnotherapy background and creativity. The Binman's Guide started with me envisioning it on a bookshelf first. I worked back from there." And worked back he did - stealing moments on holidays, over weekends, and through late nights. "I actually learned more about selling while writing this book than I ever did researching it." You haven't heard the last from the Binman either, he's one or two other guides on the horizon as well. 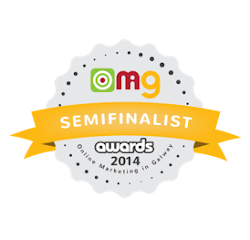 The Binman's Guide to Selling is available through Amazon, Charlie Byrne's in Galway, and Easons.